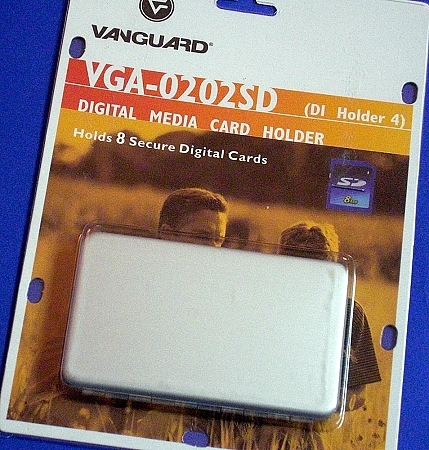 Aluminium Digital Media Card Holder by VANGUARD. 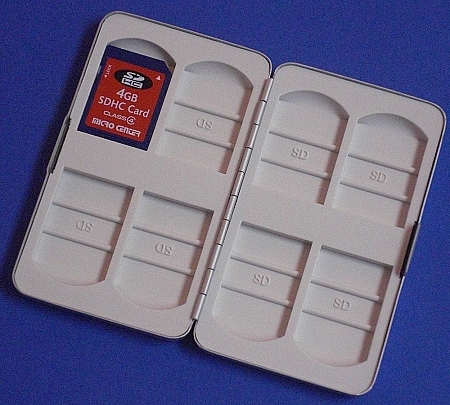 Holds 8 secure digital memory cards, has snap shut latch. 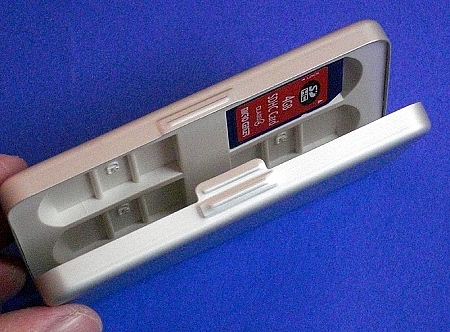 Very sturdy case protects your valuable video images. This storage box is great for travel or location shooting.